Transferring files between local computer and server is way easier using FTP protocol. FTP is a network protocol designed specifically for file transfer. Before being able to use this protocol, you need make sure that FTP server has been installed on your server. While on the client side (your PC), you need to install a FTP client. If you use Windows, one of the FTP client apps you can use is SmartFTP. 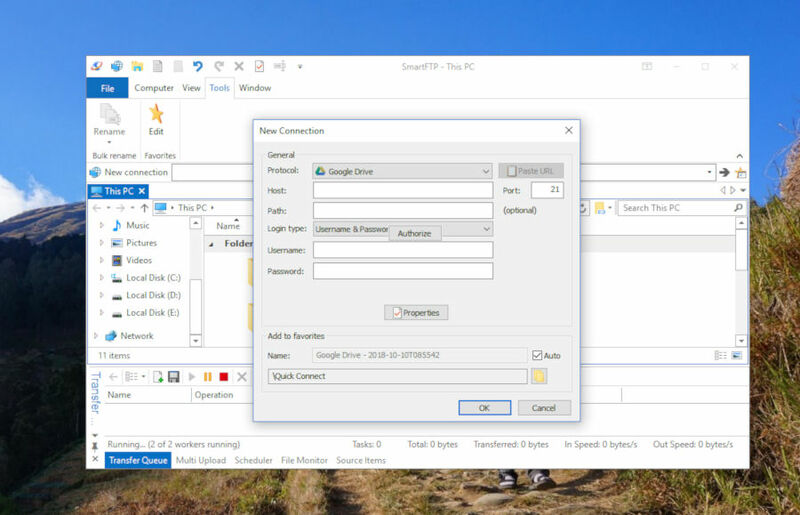 SmartFTP is a premium FTP client for Windows, but it comes with a number of advanced features. In addition to FTP, SmartFTP also supports other protocols including WebDAV and Amazon S3. You can also use SmartFTP to manage your files on Google Drive or upload/download files easily thanks to its dual-panel interface and drag and drop functionality. 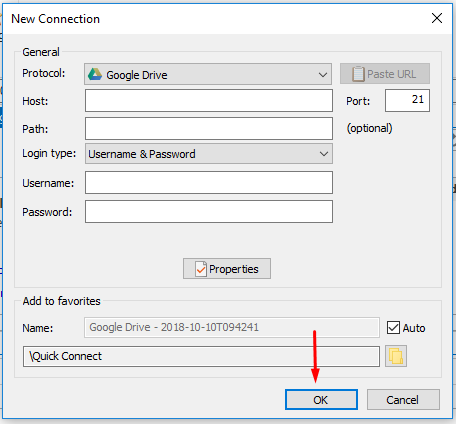 Before being able to upload/download files to/from Google Drive using SmartFTP, you need to connect your Google Drive account with the tool first. To do so, launch SmartFTP on your computer and click the New connection icon on the title bar to create a new connection. 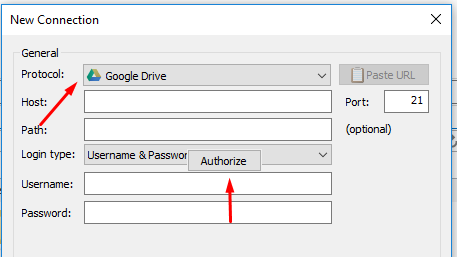 On the appearing pop-up dialog, change protocol to Google Drive and hover your mouse on the Login type section and click the Authorize button. You will be directed to web browser to make an authorization of your Google account. 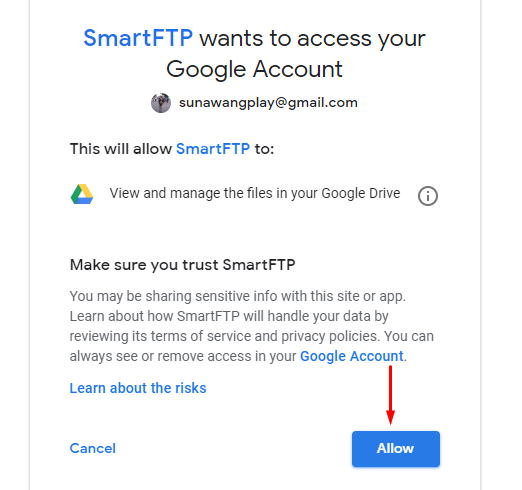 Simply login with the Google account you want to connect to SmartFTP and click the Allow button to make an authorization. After pressing the Allow button above, you will be directed to next page that will ask you to return to SmartFTP. So, return to SmartFTP and click the OK button. A new panel will automatically open on the left side. You can now start start manage your Google Drive files or upload/download files. Simply drag files from the right panel (local storage) and drop them to the left panel (Google Drive) to upload them and drag files from the left panel and drop them to the right panel to download them. There’s a free trial if you want to try it out.